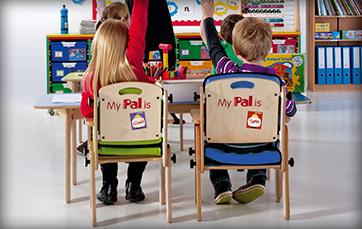 PAL is an attractive, robust and easy to use classroom and nursery seating system for kids of 1-12 years of age, with mild to moderate postural needs. 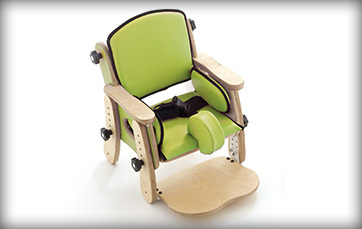 The simplicity of PAL enables the therapist to assess the child's needs, instantly order their PAL Classroom Seat and quickly and easily set up the product when it arrives. PAL really is the simple, fast way to help kids join in with learning. Designed by the Leckey team of experienced therapists and engineers to give improved stability, which helps reduce fatigue and allows the child longer periods of concentration and fine motor activity. Available in 4 sizes and 4 colors it will help kids up to 12 years of age to participate, learn and give their full attention in the classroom. 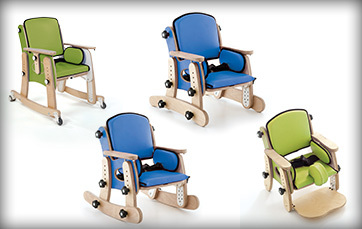 Where a less upright angle is required, the backrest angle and armrests adjust to suit the child's needs. 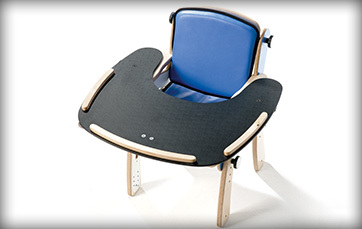 The large tray or table also provide appropriate posterior and anterior support. Pelvic stability is achieved using a simple combination of two-point lap belt and side pads for lateral stability. 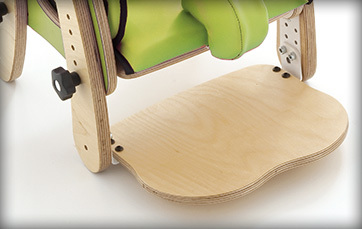 Lower leg and foot support is provided by the height adjustable legs and footplate, contributing to pelvic stability. 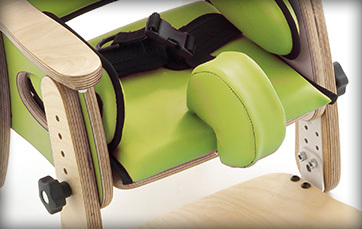 The seat depth is adjustable for maximum femoral support and when children need additional help to maintain the alignment of their femurs, a pommel is available. 14.6 x 18.7 x 23.2"